Just over a month from now, bike advocates from Alaska to Maine and points in between will gather in Arlington, Virginia, for the 2019 National Bike Summit. 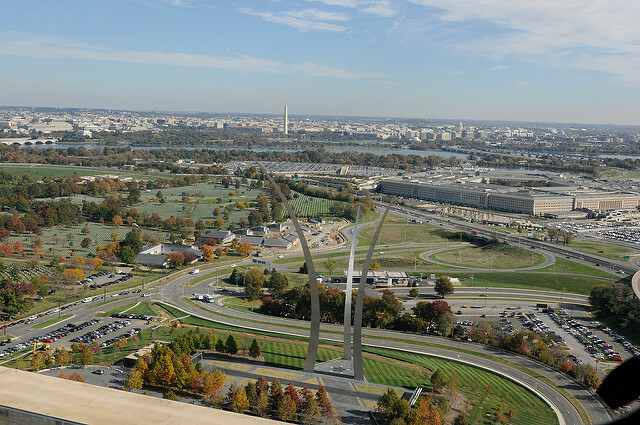 Situated just across the river from Washington, DC, Arlington is more than just a suburb with a beautiful view. 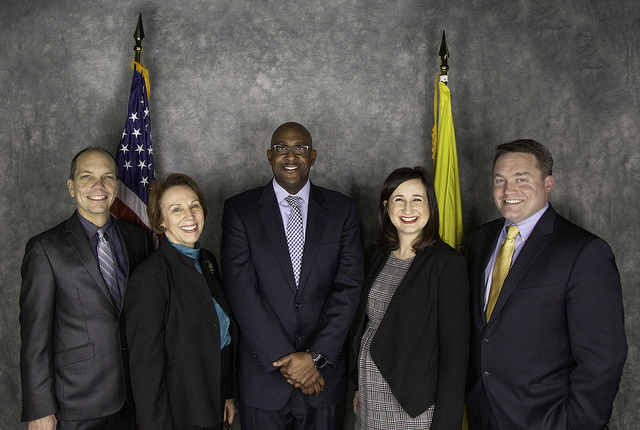 The Arlington County board led by Christian Dorsey in 2019 and a view of Arlington and Washington, DC. The community earned its Silver-level Bicycle-Friendly status in Fall 2015 and today Arlington boasts 39 miles of multi-use trails, 29.6 miles of bike lanes (7.8% of total street distance), and 95 bikeshare stations. Just as Arlington’s bicyclists see plenty of areas in which Arlington could improve, Arlington’s leaders do, too. The League sat down with the chair of Arlington’s elected board, Christian Dorsey, to learn more about his vision for transportation equity in Arlington and what he hopes National Bike Summit attendees can learn about making biking better from Arlington while in Arlington. While there are many practical design issues to be considered when it comes to dockless bikes, e-bikes, and scooters, there are other considerations for local leaders. “The great promise of these devices is providing underserved communities more access to transit infrastructure. We’ll see how well they’ve done it,” Dorsey said. “Diverse mobility options are the way forward,” for communities with limited land like Arlington to grow. By prioritizing biking and walking in its development and growth plans, Dorsey said new construction projects don’t have to devote as much cost to parking. The less public funding spent subsidizing parking, the more Arlington can put towards subsidizing affordable housing units, Dorsey noted. Dorsey himself uses public transit to get to work every day and opts for Capital Bikeshare docked options when biking would be faster than walking to a meeting. Making it easier for people to choose biking as a mode of transportation has made Arlington more resilient, Dorsey said. When the local heavy rail temporarily closed station in Arlington for maintenance, BikeArlington ambassadors led bike caravans to show new bike commuters how to navigate Arlington’s bike infrastructure. One section of new infrastructure was recently recognized by Streetsblog readers with the 2018 Streetsie Award for Best Urban Redesign for adding a protected bike lane to connect a trail with a commercial district. “We are constantly looking at ways to provide innovative complete streets throughout the county. Paint and solid design have really reduced congestion despite the fact that we narrowed the roadway,” Dorsey said. Veitch St. before, with bike lane in dooring zone, and after. Photo illustration from Streetsblog. Check out the schedule for the 2019 National Bike Summit and register today to hear more from leaders like Christian Dorsey, who speaks on Sunday, March 10 at the Summit, and meet bike advocates from communities across the country.